Astrophysics is one of the driving forces behind the study of nuclear reactions and nuclear structure. 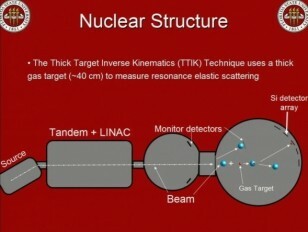 The FSU Department of Nuclear Physics has the facilities and techniques needed to experimentally explore both of these topics. This video briefly discusses some of the tools used at FSU to study nuclear physics.